Wabash College will hold its 174th Commencement Exercises on Sunday, May 13 at 2:30 p.m. on the College Mall. In addition to awarding bachelor’s degrees to graduating seniors, Wabash will also pay tribute to an esteemed alumnus and a retired Indiana Supreme Court justice by awarding them honorary doctorates. Receiving honorary degrees are renowned archeologist Dr. Stephen G. Miller, Wabash Class of 1964, and long-time Indiana Supreme Court Justice Randall T. Shepard. Wabash College President Patrick E. White will preside over the ceremony, during which nearly 190 men will receive diplomas. However, in keeping with a long-standing tradition, two members of the graduating class will be the only formal speakers at Commencement. Seniors Donovan Bisbee of Ridgefield, Washington, and Yangnan “Paul” Liu Chengdu, China will give the Commencement addresses. Seniors will also participate in the Baccalaureate Chapel Service at 11:00 a.m. Sunday. Giving the sermon, entitled “Beginning Again,” will be Reverend Dr. Matthew Myers Boulton, President of Christian Theological Seminary in Indianapolis. Bisbee is a member of Kappa Sigma, the Glee Club, and Sphinx Club. A Lilly Scholar, Donovan made the Dean’s List in every semester; took first prize in the Baldwin Oratorical Contest; and appeared in a Wabash theater production. He was named a George Lewes Mackintosh Fellow and was inducted in Phi Beta Kappa. At the 2012 Awards Chapel, he received the Walter L. Fertig Prize in English, the Nicholas Harrison Essay Award, the Joseph O’Rourke Jr. Award in Speech, the R. Robert Mitchum Glee Club Leadership Award, and the Robert O. Petty Nature Writing Prize. 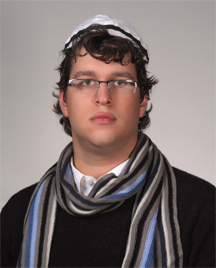 He was the 2010 Moot Court winner. Donovan is the son of Kenneth and Nancy Bisbee. 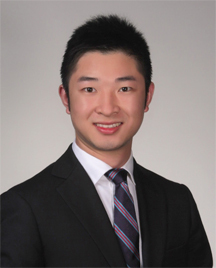 Liu is a member of Phi Gamma Delta, The Bachelor staff, and the Sons of Wabash. He made the Dean’s List in every semester while on campus. Paul spent a semester in his junior year studying in the New York Arts Program. Paul is the son of Youhua Liu and Shirong Yang. Dr. Miller, who will receive a Doctor of Humane Letters degree, is one of the pre-eminent archeologists of the last half-century. A native of Goshen, Indiana, Miller majored in Greek at Wabash and served as president of his fraternity, Phi Kappa Psi and Alpha Phi Omega. 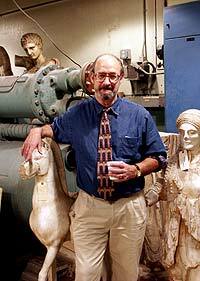 He went on to earn his master’s degree and Ph.D. in classical archaeology from Princeton University. He spent the bulk of his career on the faculty and UC-Berkeley, and for nearly 40 years has excavated sites in and around Nemea, Greece. Beginning in 1973, Dr. Miller and his team uncovered the site of ancient Panhellenic Games and festivals that were staged at Nemea in the sixth century B.C. He is credited with the construction of an archeological museum at Nemea in 1984, and in 1994, Nemea’s ancient stadium was dedicated as an archeological site. Two years later, working with local officials, Dr. Miller helped stage first modern Nemean Games, which were modeled after events that transpired more than 2,000 years earlier. In addition to being named an honorary citizen of Nemea and the country of Greece, Dr. Miller’s 2005 book, Ancient Greek Athletics, was named Outstanding Academic Title by Choice. In 2000, when Athens prepared to host the Olympic Games, Miller was named ABC News’ “Person of the Week” for his depth of knowledge of ancient Greek athletics. Since his retirement from teaching in 2004, Dr. Miller has lived full-time in Nemea, where he was elected president of the Society for the Revival of the Nemean Games. Justice Randall T. Shepard will receive an honorary Doctor of Laws degree. An Indiana native, he attended Princeton University and later received his law degree doctorate from Yale Law School. 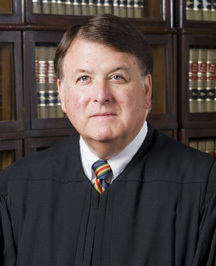 In 1987, then-Indiana Governor Robert Orr appointed him as the youngest chief justice in the United States, and over the 25 years that followed, Justice Shepard has transformed the work of the Indiana Supreme Court. By working to amend the Indiana Constitution, he helped change the Court so that it could focus on the key civil and criminal issues of our time. His efforts to improve access to the justice system, computerizing case management, and providing continuing education opportunities for judges have been applauded across the United States. Justice Shepard is the past-president of the National Conference of Chief Justices and chaired the American Bar Association’s Appellate Judges Conference. The American Judicature Society honored him with its Dwight D. Opperman Award for Judicial Excellence. Outside the courtroom, Justice Shepard has been a champion for historic preservation at the local, state, regional, and national level, and has served as a Trustee for the National Trust for Historic Preservation. Serving as the Faculty Marshall this year is Economics Professor Frank Howland. Assisting him will be Junior Marshalls Jordan J. Hoerr and Ronald L. Sullivan. Hoerr is a chemistry major from Peoria, Illinois. He was inducted in Phi Beta Kappa as a representative of the junior class. He is the son of Marie White and Jeffrey J. Hoerr. Sullivan is a chemistry major from North Vernon, Indiana. He was inducted in Phi Beta Kappa as a representative of the junior class. He also received the Howell Chemistry Award at the 2012 Awards Chapel. Ronald is the son of Ronald and Teresa Sullivan.